Fig. 1. Programmes for Museum education. As long as museology is confused with musicology in Greece and is underlined as being wrong by the computer’s automatic corrector, we should still strive for better days regarding both its present and future. A retrospective look regarding the genealogy of museology (note 1) as a scientific field in Greece (note 2) should refer to both of the following: its introduction as a topic to be taught and researched in undergraduate and post graduate courses in our country, its systematic scientific pursuit as a profession i.e. the organizing and administration of museums, exhibitions,cultural organizations, but also the interpretation and enhancement of archaeological sites, monuments and monument complexes. The first part concerning research and teaching of museology at university is rather easy to be detected and described. The second part concerning its application in the market is more difficult because the criteria for its scientific application are still indistinct, not strictly demarcated and certainly not agreed on by the academic museological community and the market. Political awareness in the years following the seven year junta led to several young archaeologists and art historians searching for a mainly social political framework to their studies in the visual arts, their forms and their production processes. 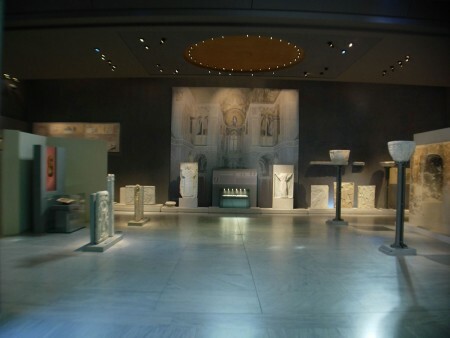 At the same time, several of the above who were unable to be absorbed by the services in the Ministry of Culture, were obliged to take up the study of museology which was connected both to archaeology and to the great number of archaeological museums in Greece. As we reached the end of the 80’s and the beginning of the 90’s, prehistoric archaeology in particular begins to be influenced by the study of anthropology,while the theories of material culture no longer sound unfamiliar, at least in some areas of archaeology and in a few of our country’s university departments. Therefore, in its anthropological quests and its perception of material culture and collecting, museology makes its appearance in Greece as an academic subject, coming, on the one hand, to bring together many of the new emergent scientific interests and on the other, some of the professional outlets sought by young archaeologists in the extensive landscape of the Greek archaeological museums. This development is, namely, the result of more general conditions formed in Greece after the seven year dictatorship, their influence on the university by the directions they point towards in research, the personal goals of young archaeologists in a satiated market in terms of archaeology and excavations and subsequently the reality of archaeological museums which, with the European programmes and the new exhibitions lavishly subsidized by them, move towards modernization in whatever sense of the word. It is to be expected that in the Humanities, conditions for the development of a new scientific subject are first shaped in academia and then, depending on its, the subject’s, scope, for the market to try to align itself, usually after a long delay. Nevertheless, the Greek market was never “competitively liberal” but sustained by the state (note 3). The museum market, in its vast majority, was no exception. The osmosis of academic museological interests and the needs of the museum market came about randomly, due to initiatives taken by individuals and because of their positions – either in the academy, in institutions, in the archaeological service of the Ministry of Culture or the museum “market”-whether privately or state held- and not because the market decided to monitor new theoretical developments. For several years now, the sector of museum education is the first and only one to develop without causing undue concerns for the supervisors, directors or heads of the archaeological services who are in charge of the museums in their Ephorates. Prior to the 80’s which could be considered as the era of “museum education euphoria”,educational programmes for children had been instigated in 1979 at the Benaki Museum by Niki Belesioti-Psaraki and at the National Archaeological Museum by Despoina Pikopoulou-Tsolaki. Already, however, in 1978, Stelios Papadopoulos a pioneer ethnologist-museologist had published a book entitled Από τις Τοπικές Συλλογές στα σύγχρονα Μουσεία (From Local Collections to Modern Museums) (note 4) while George Chourmouziades, as curator of antiquities in Thessaly and excavator at Sesklo and Dimeni, had organized the Archaeological Museum of Volos (1977-79), an emblem of the history of applied museology in Greece. On the other hand, Papadopoulos as head of the Cultural Foundation of the Greek Bank of Industrial Development, defied the lack of museology in Greece. He achieved this by research and activities (note 5) and through the journal Τεχνολογία (Technology), published by the Institution and directed by himself, by the columns and articles he printed or up to date correspondence from conferences always carried out with frankness and insight. In issue no 7 of Technology (1994), on the occasion of the 1st Panhellenic Conference of Museums and Galleries at the National Historical Museum (29th Oct.-1st Nov. 1993) and the conference’s proposal for the setting up of a National Council of Greek Museums and Galleries, Stelios Papadopoulos considered it highly urgent to “man the administration with museologists”. Today, 20 years on, the Ministry of Culture’s Council of Museums still not only does not have a museologist among its permanent members but has increased the participation of archaeologists in its initial composition. Papadopoulos’ remark in Technology (note 6) in a piece of correspondence called “Museology today” from the 1st International Exhibition of Museology in Paris, 1987, is characteristic of his timely diagnosis of the problem of updating museums. He notes that new technologies, care for the public, being extrovert, and the museum’s new ways of communication “begin to consolidate the science of museology which is critically opposed … to the old, strongly subjective views held by the ‘traditional mystics’ of art”. He, in fact, clearly proposed a need for all those involved with museums to be professionally equipped and to receive qualified training and for the vocational training of all those involved with museums instead of depending on an obsolete preindustrial expertise. He was to return to the same issue some years later, in 1999, when in an article entitled “The role of the museologist: Between ‘the common place’ and ‘utopia’” in the journal Αρχαιολογία και Τέχνες (Archaeology and Arts), he noted that while abroad, the modern museum -as meant and experienced by him personally- was a commonplace, in Greece it remained a utopia. For the distance to be bridged between the common place and the utopian, he believed the contribution of the museologists to be crucial (note 7). It is particularly interesting that, unfortunately, 25 years later, the request for the manning of the archaeological museums with museologists remains dramatically timely, since in the proposal of the new organism of the Ministry of Culture to the Ephorates and the big autonomous archaeological museums there are no Departments for Museums, Exhibitions and Educational Programmes. 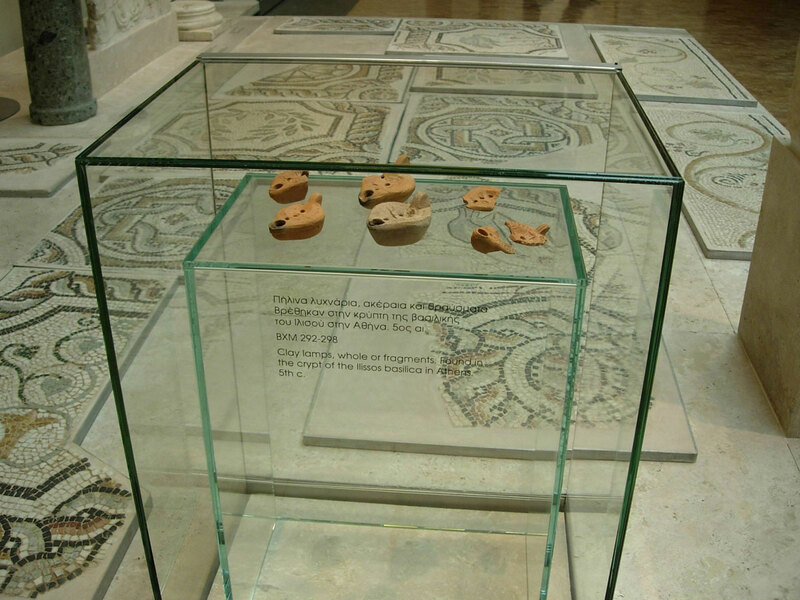 It is obvious that this is a set back for museology; priority is given in museums to the collections and artefacts, that is to positions for a personnel specializing in archaeology rather than in their museological scientifically required up to date communication with concepts, ideas and stories, a position for an archaeologist/museologist to occupy and promote. In the decade of museum education euphoria starting in 1981, the Peloponnesian Folklore Foundation (PFF) run by the costume designer I. Papantoniou, wins the prize of European Museum of the Year. In 1981, the Work Group of the Costume Committee of the ICOM is formed and begins the program “Museums and Schools”. With the initiative of the Greek section of the ICOM, founded in 1983, the 1st Museology Meeting (note 8) is organized in 1984, in which a great number of museum education related issues are raised. During that year, the museologist Eurydice Antzoulatou-Retsila, who had been part of the scientific personnel of the Museum of Greek Folk Art since 1972, publishes the book entitled The museum and its role in society. A contribution to the bibliography of Greek museology (note 9) and the Goulandris Natural History Museum is awarded the annual prize by the Council of Europe. In 1985, when Athens is Cultural Capital of Europe, a Committee for Educational Programmes is set up in the Ministry of Culture by Dr Yiannis Tzedakis, Director of Prehistoric and Classical Antiquities and Head of the Greek Section of the ICOM. The committee is made up of the archaeologists M. Avgouli-Benaki, D. Pikopoulou-Tsolaki and St. Chrysoulaki who organize one of the first of the Ministry of Culture’s educational programmes, called “The birth of writing”, considerably enriching a corresponding one tried out by the Beaubourg Museum. 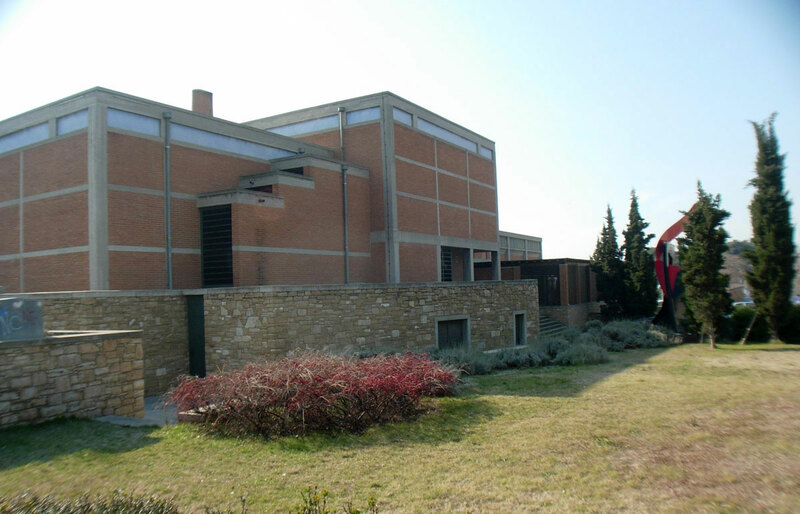 Next, the Centre for Educational Programmes is set up without ever being officially recognized and in 1997 is converted into the Department of the Directorate of Prehistoric and Classical Antiquities (note 10). In 2003 the Department (note 11) is renamed Department of Educational Programmes and Communication and belongs to the Directorate of Museums, Exhibitions and Educational Programmes. In 1985, the Directorate of Popular Culture (T. Hatzinikolaou) of the Ministry of Culture organizes the educational seminar Folklore and Ethnographic Museums and Collections. Their Organizing and Operating (note 12). The ICOM’s 1st International Conference of Museology takes place in 1986 with the initiative of the Ministry of Culture. Moreover, the founding in that same year of the Museum of Cycladic Art, is followed by its creating a Department of Educational Programmes with the archaeologist M. Plati in charge. In 1988, the interest in museum education becomes obvious with the realization in Nauplio and Athens of the International Meeting of the Committee for Education in Museums of the ICOM (note 13). In 1989, the PFF’s Childhood Museum called “Stathmos” opens in Nauplio and the ICOM’s Code of Conduct is translated by its Greek Section (note 14). It is obvious that, apart from personal interests and an necessary aptitude for the subject, given prevailing conditions, the development of museum education in the ’80s can be seen as an innocent venture in museology, devoid of problems, in both its long term historical perspective and in the context of culture and education related policies. It did not threaten established structures and was responsible for modernizing museums and reinforcing their role in society. Education in museums always provided the facile “proof” of an updating of museology and the social awareness of a basically domineering and conservative institution. 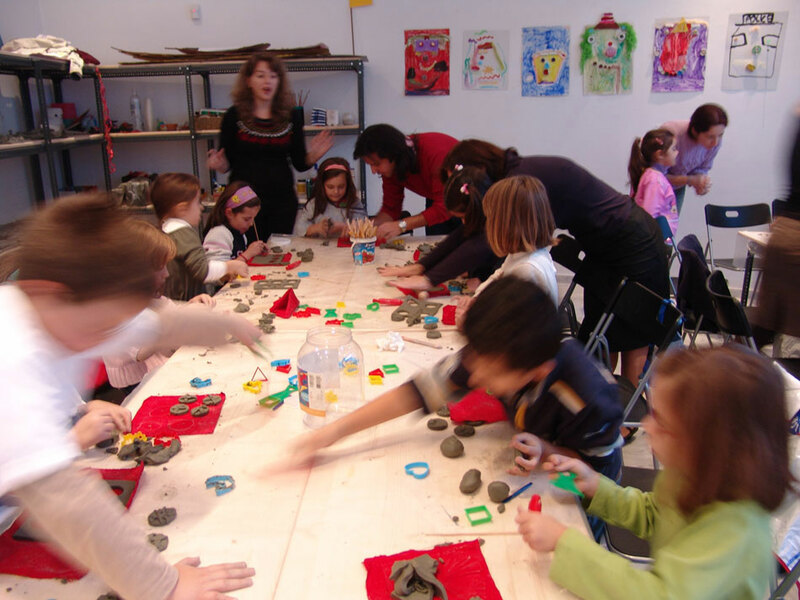 The next decade of the 90’s and the first of the new millennium will see intensified activity in museum education. Nevertheless this will be characterized by an abundance of new exhibitions and repeated exhibitions in state owned archaeological museums and the production of studies either for new museums or extensions of their buildings. Very many funds from the European Union are channelled via the Ministry of Culture to museums and archaeological sites, often promoting local and international collaborations, due to the nature of some funding programmes. The 90’s will finally be determined by the development of spatial-exhibition museology design (note 15) and by the position offered to architects-designers, which is related to such a priority in museums (note 16). From their being designers of archaeological finds, they acquire the status of conversing with the archaeology curators (note 17). It must however be noted that the undoubtedly tasteful exhibition architecture could be compared to the aestheticism of the 19th century since it does not follow or give meaning to the serious mental process related to museology. It is clear that its ignorance regarding this lack, is an example of the corresponding lack of modern theoretical speculation on museology and/or of archaeological and certainly also of anthropological speculation. 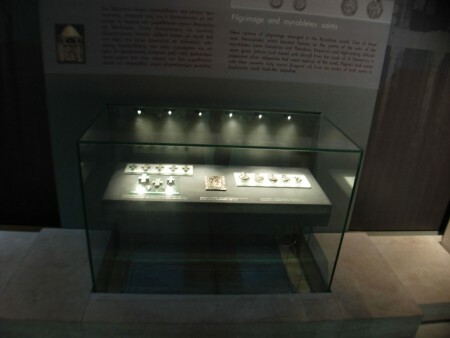 The 90’s will also be marked by the following events: the completion, in 1994, in Thessaloniki of the Museum of Byzantine Culture (note 18) by Kyriakos Krokkos, the election of Dimitris Konstandios in 1999 as head of the Byzantine and Christian Museum, the much over due founding of the two state museums of contemporary art (note 19) in Athens and Thessaloniki (1997) but also the organization in 1997 of Thessaloniki; Cultural Capital of Europe, which will give several opportunities for museology events. It is interesting that the word museology which first appeared in the press in 1990 (note 20) is now used with great ease by museum people even when there is a steady absence of museologists from museological ventures or their presence is imperceptible. 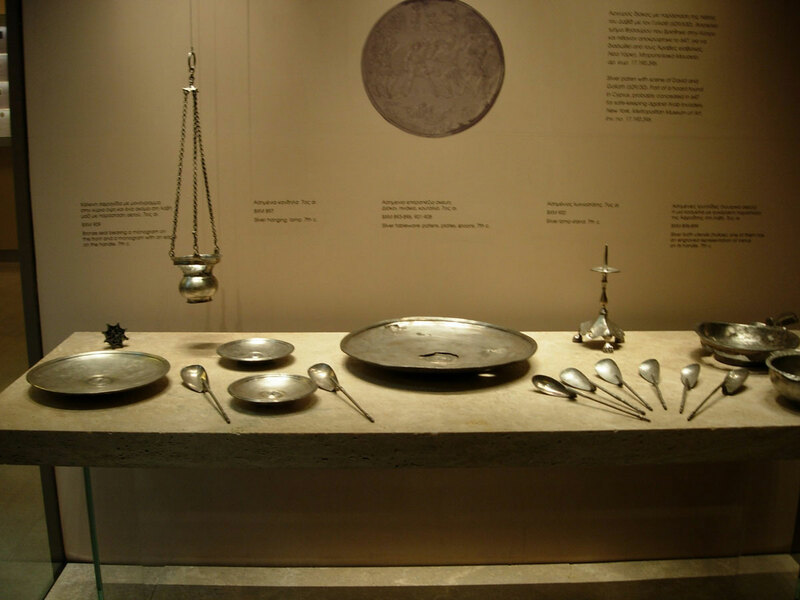 In a special 2002 issue of the Kathimerini newspaper (note 21) on the Museum of Byzantine Culture, the word museology appears very many times and emphatically in all the issue’s sections concerning the museum and its exhibition. No museologist however is actually named as having contributed to some stage of the process. This is an example of the attraction to the new and “contemporary” image of the museum as a scientific discipline where, however, specialists in this field are not considered necessary (note 22). In 1997, a big conference is organized in Thessaloniki entitled “Museology in the 21st century: Theory and Practice”. The organizing body is The Department of Architecture of the Aristotle University of Thessaloniki and the aim is the exploration of possibilities opening up in Greece for a postgraduate degree in this new scientific discipline. The views of both museum archaeologists and people who have formed their views on museums through practice, “encounter” the views of young museologists who are trying to open new paths and make their mark, both present and future, in the field they chose to study and work in. In this conference, as in the one organized a month earlier also in Thessaloniki by the Ministry of Culture and the Greek section of the ICOM on Archaeological and Historical Museums (note 23), the young archaeologists-museologists put on a dynamic appearance. They are the ones who will later contribute to the emergence and strengthening of the scientific discipline of museology in Greece; either by their positions in the academy, the archaeological service and other institutions where they are employed as museologists, or by their museological conceptual studies that they process and establish as prerequisites for exhibition and spatial planning in museums (note 24). The presence of the Greek section of the ICOM over that same period remains important and provides information on the museum community (note 25). Nevertheless, till now, the “relevance” between the members of its Governing Board and the services of the Ministry of Culture did not show any intentions of changing structures to enhance the updating of museology and question the curator’s absolute leadership, by allowing an equal partnership between curator and museologist regarding either spatial or conceptual issues, not to mention, from the start, also that of the museum educator. 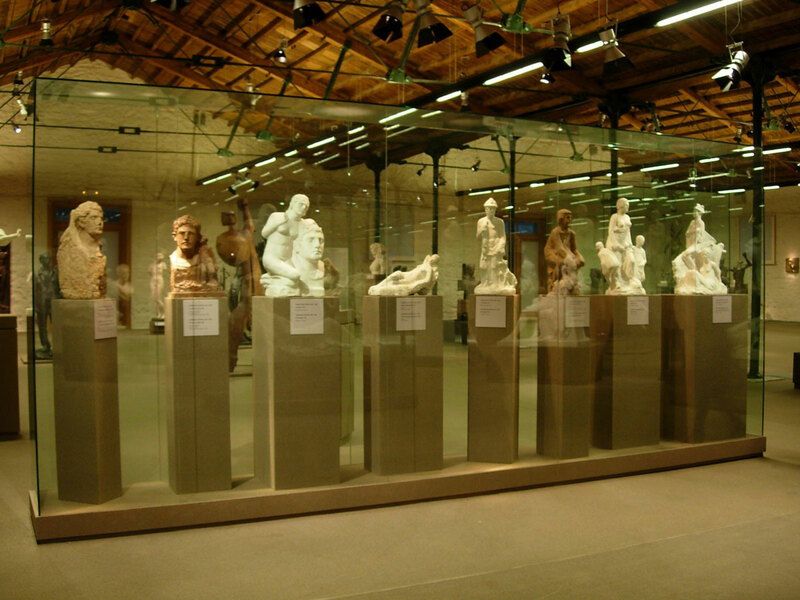 At the close of the decade in 1999, a special issue on Museology by museologists M. Mouliou and A. Bounia should be cited in the journal Αρχαιολογία και Τέχνες (note 26), that presages the 2004 museological journal Museology Notebooks (Τετράδια Μουσειολογίας) run jointly by the former with A. Gazi and A. Nikeforidou. This is the first Greek journal dealing with museum topics by colleagues who are knowledgeable on a theoretical level in the field of museology and follow its developments internationally, while their practical involvement enables them to assess it when implemented. The first decade of the new century featured, in Greece as elsewhere, a strong change both in the public’s priorities as well as in museums as cultural institutions. In an era of plenty, with European funds still pouring into Greece, culture, as part of the public’s recreation, provides scope for the recent scientific field of museology by extending or continuing archaeological upgrading and museum interventions. At the same time, big foundations fund large scale permanent or temporary exhibitions in big museums as seen in the following examples, only a few out of many that will provide a platform for a debate on museology: The re-exhibiting of the permanent collection from the Greek National Painting and Sculpture Galleries (note 27) with the funding of large institutions (note 28) the museums of the Cultural Foundation of the Piraeus Bank Group supported with European funds, the exhibitions and the “opening” literally and metaphorically of the Byzantine and Christian Museum to people outside it as well as to young collaborators of Konstantios inside the museum. Indeed, the Ilissia journal published by Konstantios since 2007 updates, among other things, the conservative museum institution, offering a platform for discussions on museology and its application in Greece (note 29) free of exclusions and preferences. 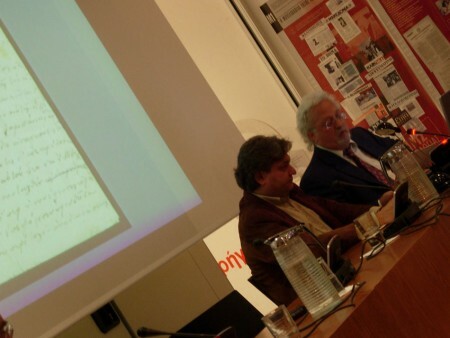 It is Konstantios who dared make “space” for new museological readings of thepermanent collections in his museum (note 30) as did Despoina Eugenidou at the Numismatic Museum. It is the perspicacious Konstandios who remarked in a 2009 interview that “ the greatchallenge for museums of today is for them to participate in the life of the city and not be just places of education… it is one of the goals I set myself from the first moment I took charge of the museum, in 1999” (note 31). At the same time, a large part of European money has its priorities in technology. Thus a new field appears next to that of museums without it yet having acquired a solid scientific basis and a terminology of its own (note 32). Such funds from the European Union also favoured the creation of new postgraduate departments and allowed the emergence in Universities of initiatives in research which otherwise would either have been delayed or would never have appeared in higher education. Thus museology acquires the following postgraduate courses after having appeared since 1992 on the undergraduate courses of the Department of Architecture and in the Department of Archives and Library Sciences at the Ionian University in 1994 with E. Antzoulatou-Retsila. The first postgraduate course is created at the Aristotle University of Thessaloniki (AUT) which in collaboration with the University of West Macedonia begins teaching museology at the Department of Architecture in 2001 and is known as the IPP in Museology. 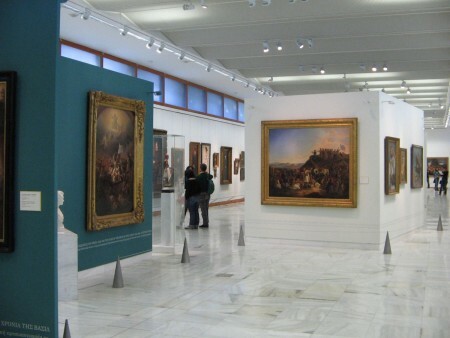 The next one, known as Museum Studies, is set up in the National and Kapodistrian University of Athens (NKUA) in collaboration with the Technological Educational Institute of Athens. 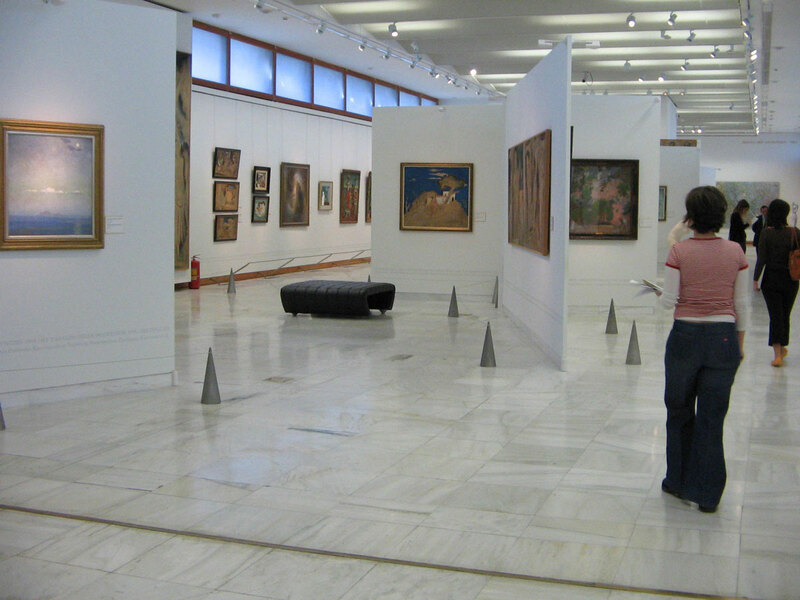 At the Aegean University and the newly established Department of Cultural Technology and Communication, museology is introduced as “Modern Museology” in the undergraduate programme in 2000 and next, since 2008, as a postgraduate course known as “Monument management, town architecture” in collaboration with the Department of Architecture at Patras University and the Department of History and Archaeology at the NKUA. Meanwhile, since the decade beginning in 2000, museology has been introduced in the Department of History, Archaeology and Social Anthropology (note 33) at the University of Thessaly, in the Department of Fine Arts and the Department of History and Archaeology at the Ionian University, in the Department of History, Archaeology and Cultural Resources Management at the University of the Peloponnese, in the Department of Management of the Cultural Environment and New Technologies at the University of Western Greece and in the Department of Fine and Applied Arts of Florina at the University of Western Macedonia. 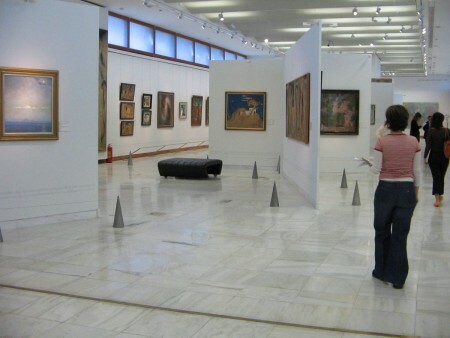 Museum education is introduced into most of the programmes of the Pedagogical Departments at the Universities of Thessaloniki, Alexandroupolis, Rhodes, Athens, Patras and Volos where a Programme of Elective Studies ran between 1998 and 2004. Starting in 2002, a Postgraduate Programme in Management of Cultural Units (note 34) will be established in the Greek Open University where courses in history, museum management and issues of museology make known a new subject which has been dealt with, written and taught by Greek museologists in previous special studies. In 2004, the Ministry of Culture appoints archaeologists-museologists through its first recruitment test. This fact worked positively for the field of museology, regardless of what the service was expecting from them in the long run or how they were to be utilized as museologists. At least it was recognized as a particular field that has its own needs and requires different skills, regardless even of who ultimately fulfils them (note 35). In 2005 the Society of Greek Museologists is founded by museologists holding at least a postgraduate degree. Since 2004, in collaboration with the postgraduate course of Museology in Thessaloniki, the Society participates in the organizing of symposia (note 36) on a great variety of museological issues. In 2011, the Society will be recognized as a partner of NEMO, the Network of European Museum Organizations. Furthermore, since 2004, the Department of Cultural Technology of the University of the Aegean organizes symposia focused mainly on technology and the new media (note 37) while the international journal Museology, covering a full range of museology topics, circulates online, headed by my colleague Sophia Daskalopoulou and edited by M. Economou. Meanwhile the historical past of museums is studied and any present day weakness is touched on through research, student projects and the teaching at university of material concerning the reality of Greek museums. All the above constitute a valid account of museology on which its future is being built in Greece. The following conferences and publications show the extent to which Greek museology participates in these international concerns: A special issue on City Museums in the 22nd volume of the journal Εν Βόλω (In Volos) ( 2006) edited by my colleague M. Mouliou having also organized the relevant international conference (note 38) and those that followed in 2011, 2012, 2013 of the International Committee for the Collections and Activities of the Museums of the Cities (CAMOC) of the ICOM, as well as the publication of the minutes for the Ministry of Culture’s Conference on “Protecting cultural goods from illegal trafficking and being contested” (note 39). The same must also be pointed out regarding the edition ΕθνικάμουσείαστηνότιαΕυρώπη: Ιστορίακαιπροοπτικές(National Museums in southern Europe: Their history and prospects) (note 40) edited by my colleagues A. Gazi and A. Bounia. The field of museology has developed slowly but steadily in Greece (note 41). It remains for us to protect it from being easily plundered like everything new and attractive. This danger is visible in Greece where one cannot easily stand up for meritocracy in state institutions and where the market in culture can not always regulate itself since it usually can’t or won’t keep a safe distance (note 42) between itself and state institutions. To this state of affairs we should add the continual resistance by the system in creating new positions of leadership in culture management, the clientele based relationships that still apply despite the pressing need for structural changes and the lack of appreciation shown for young museologists in favour of the prestige that accompanies the experts. It seems that museology’s coming of age in Greece will still be plagued by the absence of meritocracy, the lack of trust in young professionals, an outdated sensationalism and a cultural market that is meagre anyway. On the other hand we are doing well abroad. Not only do young museologists from foreign universities find work in their field but our graduates also find work in museums and related cultural fields. In Greece, however, nothing is left to us museologists, old and young, other than the prestige of working in our field and of being the best. As stated by our postgraduate moto “It’s no fun until you are the best at it”. Director of the Interuniversity Postgraduate Programme of the Aristotelian University of Thessaloniki and the University of Western Macedonia. 1. I am referring to the term “museology” rather than “museum studies” because the latter English term sounds more practical, although, in reality, both terms relate to the same content. The second component of the word “museology” which is “logy”, suggests a theoretical side to be dealt with as the basis or as the touchstone for everything we are called to apply either in a museum, an exhibition or an archaeological site. In any case, this does not mean of course that the term “museum studies” does not suggest practice together with theory. I simply believe that just because we are at a phase where, based on various theoretical approaches, an attempt is being made within the academic framework to formulate “one” theory on museology, it is best for us to make known our effort also through the term we use to define what we do whether in research, teaching or practice. For the same reason I consider that the term “museography” which has come to refer to the designing of exhibition space, sounds just as practical, without suggesting the need to have a knowledge of theory so as to design an exhibition. Even earlier, when transcribed from its use in Italian, it meant the annotation of the exhibited artefacts and only much later did it mean the accompaniment of graphics. For us to tackle this problem in the postgraduate museology course at the AUT, we use the following terms: a) Conceptual Museological Design that, based on what is exhibited, relates to the design of concepts and narratives by the conceptual museologist (archaeologist, historian etc) and b) Spatial Museological design that, based on the designed concepts, relates to the design of the exhibition space by the spatial museologist (architect, designer etc.). See the recent book by Panos Tzonos, 2013, Μουσείο και μουσειακή έκθεση: Θεωρία και πρακτική, Thessaloniki, IPP in Museology and Endeuktirio publ., p. 183. 2. The thesis by Ms Paraskevi Nitsiou (archaeologist, advisor in monument restoration) prepared at the IPP in Museology at the Aristotelian University of Thessaloniki and the University of Western Macedonia and presented in 2011, includes the chapter «Μουσείο και μουσειολογία: Μια διαδρομή στην ιστορία» that refers to the history of museology in Europe and will be shortly published by the postgraduate programme publications. 3. Κωνσταντίνος Τσουκαλάς, Η Ελλάδα της λήθης και της α-λήθειας: Από τη μακρά εφηβεία στη βίαια ενηλικίωση, Θεμέλιο, Αthens 2012. 4. Στέλιος Παπαδόπουλος, Από τις τοπικές συλλογές στα σύγχρονα μουσεία, Α. Καραβίας, Αthens,1978. 5. In 1988, Papadopoulos reinforces the running of the Technical Museum of Thessaloniki, in 1990 he organizes the Silk Museum in Soufli for the Greek Bank of Industrial Development, in 1986, he started the programme on ethnological research and architectural measured drawings of workshops in Dimitsana, which ended up as the Open air Museum of Water Power1996 (see Στέλιος Παπαδόπουλος, Μπαρούτη, μπαρουτόμυλοι και ο αγώνας του ’21, Π.Ι.Ο.Π, Αthens 1997), in 1998 he organized the Museum / Treasury for icons for the Xenophon Monastery. 6. Τεχνολογία 2 (1988), pp. 22-24. Αρχαιολογία και Τέχνες 71 (1999), pp. 44-47. The volume Ανθρωπολογικά, μουσειολογικά: μικρά μελετήματα (Αthens 2003), in his articles from 1969 to 2002, he touches on key museological issues concerning the management of modern Greek cultural heritage. 8. Minutes of the first Museology Meeting (Athens, Oct. 1984), ICOM publ., Athens 1987. 9. Ευρυδίκη Αντζουλάτου-Ρετσίλα, Το μουσείο και ο ρόλος του στην κοινωνία. Συμβολή στην ελληνική μουσειολογική βιβλιογραφία, Σκουφάς, Αthens 1984, and Λαογραφικά Μουσεία και Παιδεία, 1985. 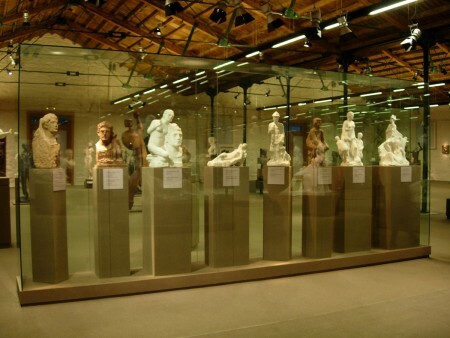 Ms Antzoulatou studied museology at the Sorbonne in 1980-1981 and at Berkley in 1988. 11. According to presidential decree no191/article 10. (Educational seminar, May 1985, Ministry of Culture-Department of Popular Culture-Museum of Greek Popular Art). 13. Minutes of the Annual International Meeting CECA (Nauplio-Athens 1988), Athens 1991. 14. Greek translation of the French original, 1989: Code de déontologie professionnelle (ICOM, Paris 1987) that was adopted during the 15th Annual Meeting of ICOM in Buenos Aires (November 1986). 15. Spatial-exhibition museological design in museums acquires its term: it is called museography. 16. The Italian architect Gabriela Papadeli-Marconi, permanent executive of the Museum of Byzantine Culture in Thessaloniki, has not been properly appreciated till now in this country for her contribution to museum exhibition design. 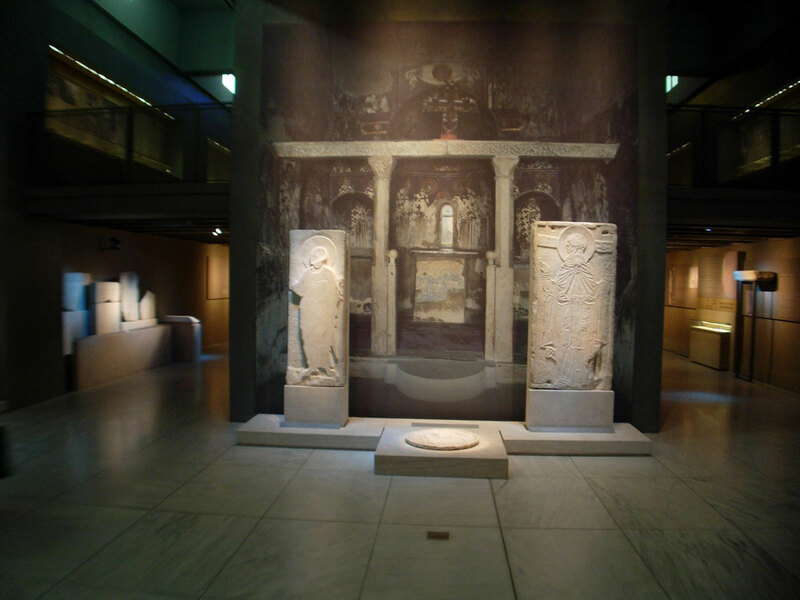 Having received an education in Italian architecture and having obviously studied thoroughly and constructively the work of Carlo Scarpa the leading Italian architect designer of exhibition space (his outstanding work being the Castelvecchio Museum in Verona), Papadeli was creatively influenced by his example for the exhibition designing at the Museum of Byzantine Culture. 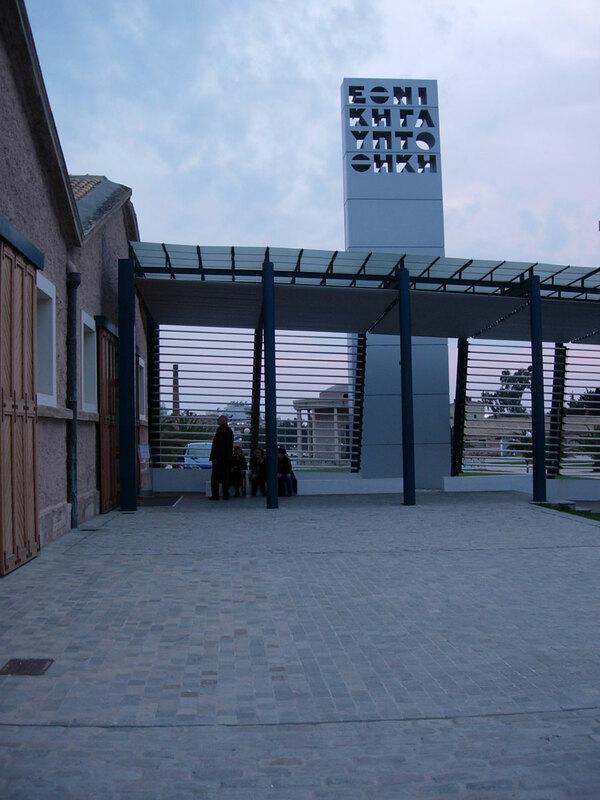 The Council of Europe prize awarded to this museum in 2005 was undoubtedly largely due to Ms Papadeli’s architectural contribution. Here I should mention the services offered to museum exhibition architecture by Ms E. Katsanika-Stefanou, also a permanent administrator of the Museum of Byzantine Culture who, however, as seen later in her work at the Byzantine and Christian Museum of Athens, has a different approach to that of Ms Papadeli and not only regarding her choice of materials. 17. In Greece, the term archaeologist-curator has an almost unnatural ring to it whereas it is such an obvious term in museums abroad used to define the curator of an archaeological collection. This is because, in reality, the work of an archaeologist-curator in a museum is only secondary to his primary work on the excavation of the Antiquities Ephorate in whose district the museum or museums happen to belong. As expected, each attempt to detach museums or at least big museums from the district’s antiquities’ ephorate would provoke a reaction from the archaeologists, even if the museum’s director was an archaeologist from the service. This was a measure which Evangelos Venizelos had tried to introduce when he was minister of culture in the 90’s. Of course, none of the archaeologist museologists already serving were considered as possible museum directors. It is therefore especially significant that, on opening, the Museum of Byzantine Culture was allowed to function as a particular service of the Ministry of Culture, independent from the 9th Ephorate of Byzantine Antiquities. 18. The name Museum of Byzantine Culture is indicative for 1994 of the ultimate museological perception of how the new museum’s exhibits were to be interpreted; they are not considered only as having an aesthetic value but are also seen as material witnesses of culture. (exhibitions of Max Beckmann, Joseph Beuys, Günter Ücker, Andy Warhol, Demosthenes Kokkinides, Kl. Loukopoulos et al) It is interesting that despite my presence on the Board of Directors of the Museum of Contemporary Art and on its Artistic Committee, I did not manage to convince my colleagues of the need for a museological conceptual design in art exhibitions not organized by me personally. Despite the general recognition inside and outside the museum of the admittedly positive contribution of museology in the above exhibitions, there was a strong reaction to its implementation in general which lead to my departure. The structures affirming art and the critirium of expertise are not easily disturbed. On the contrary, my proposals for the conceptual design of museum education programmes not only encountered no problems but were considered as the component that made them avant garde compared to other respective museums. Museum education still functions as a modernizing and socially sensitive Pool of Siloam regarding museums as an institution. 20. See my article in Βήμα της Κυριακής (Sunday’s Vima on May 6th 1990) that refers to this writer’s correspondence from a big conference called “Art without Frontiers” that had taken place in 1990 in Glasgow when it was the Cultural Capital of Europe. The article is included in Μ. Σκαλτσά, Για τη Μουσειολογία και τον Πολιτισμό, Endeuktirion publ., Thessaloniki 1999, pp. 29-32. 21. “The Museum of Byzantine Culture” in the Επτά Ημέρες (Seven Days) supplement, Kathimerini, 4-5 May 2002. 22. In 1992 the course on theoretical and applied museology started to be taught by this writer as an elective lesson in the curriculum of the Architectural Department of the Polytechnic School of the AUT. After that, it was taught in 1999 in the same department’s Postgraduate programme on Conservation-Restoration and since 2001 in the Postgraduate Museology programme. 23. «Θεσσαλονίκη: Σταυροδρόμι ιδεών και ανθρώπων Η πόλη στο μουσείο και στο χώρο», (Thessaloniki: The crossroad of ideas and people. The city inside the museum and in the surroundings), Minutes of the Annual Meeting of the International Committee of Archaeological and Historical Museums, September 1997, publication of the Greek Section of the ICOM, 2002. 24. As I believe in the importance of putting a name to a historical act whether it is being currently applied or is in the academic, teaching or research field, mention must be made of the archaeologists –museologists who were young at that time but have since shown that they actively participate in museology’s scientific objectives. They are: Kostas Arvanitis, Elia Vlachou, Elena Glytsi, Andromache Gazi, Kostas Kasvikis, Marlene Mouliou, Alexandra Bounia, Maria Economou, Aikaterini Hambouri. - «Θεσσαλονίκη: Σταυροδρόμι ιδεών και ανθρώπων Η πόλη στο μουσείο και στο χώρο» (Thessaloniki: The crossroads of ideas and people. The city inside the museum and in the surroundings), Minutes of the Annual Meeting of the International Committee of Archaeological and Historical Museums, September 1997, Athens 2002. -«Η συντήρηση των εικόνων. Μια προσέγγιση στην προβληματική, τις μεθόδους και τα υλικά που χρησιμοποιούνται στα εργαστήρια συντήρησης σε όλο τον κόσμο» (the conservation of icons. An approach to the problems, methods and materials used in conservation workshops throughout the world), Minutes of the International Meeting of the Team for the Work – Conservation of Icons (Oct. 1995), Athens 1999. 26. Αρχαιολογία και Τέχνες 70-73 (1999). 28. Τhe Stavros Niarchos Foundation is one of those. 29. See this writer’s related contributions in issues 3 (2008), 5, 6 (2009, 2010), 7 and 8 (2011) of Ilissia. Specifically: «Από τη μουσειολογία στο μουσείο», 3, pp. 4-7, «Θέσεις Απόψεις: Εφαρμοσμένη και θεωρητική μουσειολογία στην Ελλάδα», 5, 6, pp. 60-63, «Διάλογος για τις μουσειακές σπουδές στην Ελλάδα», 5, 6, pp. 168-171, «Ο Κωνστάντιος στο μεταπτυχιακό του Α.Π.Θ.», 7, 8, pp. 22-25 ( with K. Kotsaki). 30. See this writer’s related contributions in issues 3 (2008), 5, 6 (2009, 2010), 7 and 8 (2011) of Ilissia. Specifically: «Από τη μουσειολογία στο μουσείο», 3, pp. 4-7, «Θέσεις Απόψεις: Εφαρμοσμένη και θεωρητική μουσειολογία στην Ελλάδα», 5, 6, pp. 60-63, «Διάλογος για τις μουσειακές σπουδές στην Ελλάδα», 5, 6, pp. 168-171, «Ο Κωνστάντιος στο μεταπτυχιακό του Α.Π.Θ.», 7, 8, pp. 22-25 ( with K. Kotsaki). 31. Ελένη Κούκη, «Βυζαντινό και hi tech: Νέα πτέρυγα Βυζαντινού Μουσείου», Αθηνόραμα, 08/10/2009. 32. Κ. Αρβανίτης και Μ. Σκαλτσά, “Technomania-Technophobia”, in Δώρον. A volume in honour of Professor Nikos Nikonanos, The Aristotle University of Thessaloniki, pp. 465-470. The Greek World of Lazaros and Dimitris Eufraimoglou is an example of a “museum organization” where work and money is invested on a large scale for the enhancement of technology and the new media as basic parameters for its function. M. Economou, Associate Professor in the Department of Cultural Technology and K. Arvanitis, Lecturer in Museology at the University of Manchester are both exceptional examples of museology colleagues who balance the technological approach with that of research and theory, created by the use per se of technology in museums. 33. 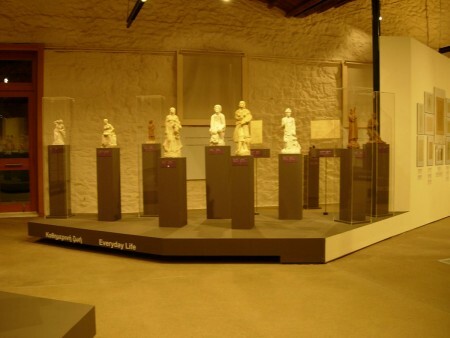 The educational-archaeological exhibition organized there by my colleague M. Mouliou entitled «Αρχαιολογικές αναζητήσεις. Ανασκαφές στην Ομηρική Γραία» (Archaeological quests. Excavations in Homeric Graia) as with those by my colleague A. Gazi are proof of what can be achieved by the scientific objectives of applied museology, when it can escape being “stiflingly” curated by the specialist who is not a museologist. 34. The Programme was edited by the writer who was also responsible for the selection and supervision of the writing of the articles between 1995 and 2000. 35. The matter of who meets the museum needs of the market, either by owning a special university museology title or simple expertise, is less critical or harmful to the development of museology compared to the non museological profile of those elected to museology positions at university. This is because the museum market will somehow regulate itself and at any rate will not be paid entirely by the taxpayer. However, the election at a public university of a museologist whose qualifications are not based on merit will create a vicious circle that will take years to heal, especially after the recent drastic job cuts. All the same, a more permanent danger will be the truncated, non scientific manner and undoubtedly the lack of theoretical discourse by which museology’s proper scientific dimension will be taught by teachers elected for their qualifications of expertise. This runs the risk of suspending whatever progress was made towards securing the field as a science. 36. Each year between 2004 and 2011, usually coinciding with the International Day of Museums, symposiums were systematically organized around a wide range of museological issues which were published in the series Museums 04, Museums 05 etc by the IPP in Museology of the AUT, the University of Western Macedonia and Endeukterion publications. See https://www. ma- museology.web.auth.gr. 38. The International Scientific Meeting called «Προσωπογραφίες πόλεων στα Μουσεία Πόλεων. Πρακτικές και αντιλήψεις»(Portraits of cities in city museums. Practices and perceptions), was held in Volos on the15.6.2005, with the participation of scientists and representatives from Greek and foreign museums who discussed the prospects of city museums in Europe. 39. With the collaboration of S. Boutopoulou, S. Kalliodi, M. Mouliou and V. Sakelliadi. 40. The volume is the outcome of research and related reports on «Ευρωπαϊκά Εθνικά Μουσεία: Πολιτικές ταυτότητας, οι χρήσεις του παρελθόντος και ο ευρωπαίος πολίτης» (National Museums of Europe: Political identities, the uses of the past and the European citizen) by the network EuNaMus (European Νational Μuseums) at a conference in Bologna (28-30 Αpril 2011) . See. www.eunamus.eu,eu where all the network’s editions are available on line. 41. All the following also provide examples for a serious discussion on the field of applied museology both conceptual and spatial: The studies prepared at the Ministry of Culture by the service’s archaeologists-museologists and the implementation of some (the Archaeological Museum of Palaiopolis-Mon Repos, the Archaeological Museum of Karditsa, the Archaeological Museum of Thasos, the Archaeological Museum of Ileia, the Archaeological Museum of Messenia, The Archaeological Museum of Larisa, the Archaeological Museum of Thermos, The Museum of Underwater Antiquities in the SILO building on the Cultural Coast of Piraeus ,the Archaeological Museum of Athens at Plato’s Academy by M. Mouliou), the awarding of museums such as the Museum of Byzantine Culture in Thessaloniki by the Council of Europe in2005, reference of others in international journals such as the Ecclesiastical Museum of the Holy Metropolis of Thessaloniki in Museum Practice (Winter 2007) (ma-museology.web.auth.gr/.../DPMS-mous. and www.lineadesign.net/projects/archive/museums-exhibitions/ecclesiastical-museum-of-thessaloniki-i-museum). 42. The British have the expression “at arm’s length”. State funding is also a way of classifying the relationships of freedom and dependence existing between the state and cultural institutions. In the UK this is dealt with by the Arts Council, an independent body, which makes decisions based on programmes made for the type and amount of state funding for culture. Again, however, there is the matter of the way in which members are selected for this body’s Board of Directors. In any case, the way the Arts Council functions, either with competitive programmes that successfully fund institutions through awards, or by control through regional councils, falls within the authority of various democratically elected bodies.